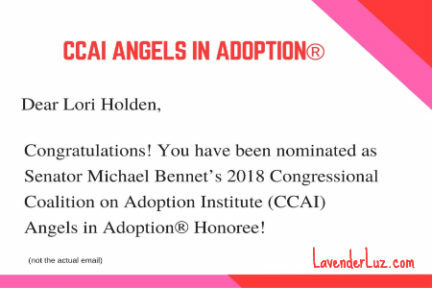 All of those people up there are not only my Friends, they have also been named by the Congressional Coalition of Adoption Institute (CCAI) as Angels in Adoption®. This year I have been nominated by Senator Michael Bennet to join their ranks. 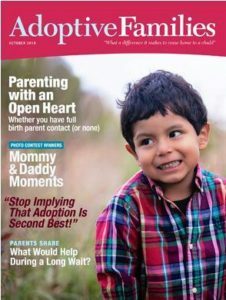 Technically, the title is “9 Steps to Long Term Success in Parenting Through Embryo Adoption.” But practically, this webinar applies to parenting through adoption of other types: traditional, international, foster, open, as well as other third party reproduction methods like donor egg, donor sperm, donor embryo. And closed. This message is especially for people inclined to choose a closed adoption. Many couples worry about how they will handle some of the big moments when parenting a child that came to them through embryo adoption. How they tell the story over time? Will they be able to answer questions that come up? How will they navigate things if their child asks if they can meet biological siblings? Join Lori Holden as she shares tips for long term success with an embryo adoption regardless of the level of ongoing contact you have with the placing family. When I speak with adoptive parents through workshops and webinars, especially those who came to adoption through the international or foster routes, I sense such a craving for openness — even when contact with birth family is not possible.